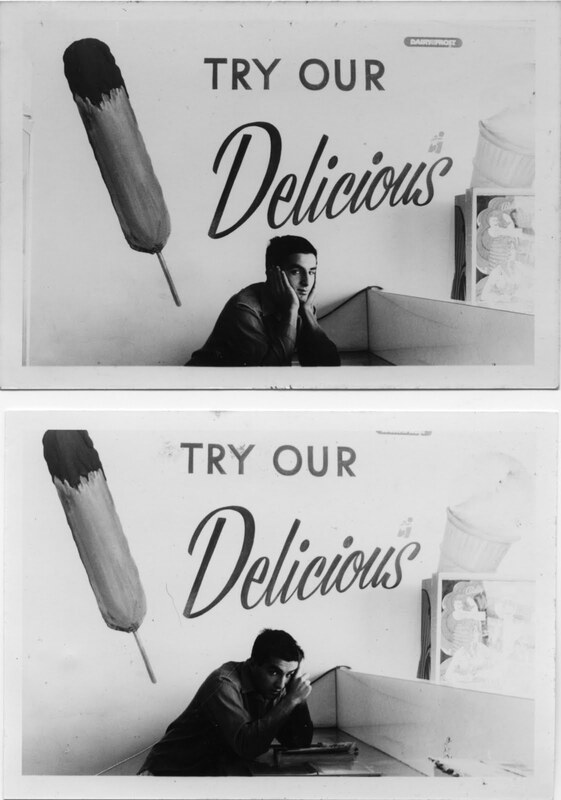 George Kouvaros, author of Famous Faces Yet Not Themselves: The Misfits and Icons of Postwar America, is associate professor of film in the School of English, Media, and Performing Arts at the University of New South Wales. A short while ago, I (Maggie Sattler, direct marketing coordinator at the Press) asked him to write for this blog about his own first experience and initial impressions watching the film The Misfits, a film that brought together onscreen Clark Gable and Marilyn Monroe in what would be their final roles, and a film that also illuminated larger changes in Hollywood acting during the postwar period. Here is George's response. You asked if I could write about my initial impressions of The Misfits, and when and where I first saw the film. Believe it or not, this has been surprisingly difficult. I think this is because The Misfits was, for many years, a film that I carried around in my head. When I started writing Famous Faces Yet Not Themselves, I wanted to write about the Magnum images taken on the set of the film, their history and relationship to other images of actors. But I also wanted to write about how such images trigger an experience of cinema that operates in advance of our actual viewing of a film. Now that the book is finished, I have become more and more interested in understanding the relationships and contexts that are opened up when we focus not on this or that film, but on the interaction between cinema and everyday life. Famous Faces Yet Not Themselves explores these contexts and relationships from the perspective of the stars involved in the production of the film. As a roundabout way of answering your question, Maggie, I want to say a little about how my own history connects with this expanded notion of cinematic experience. 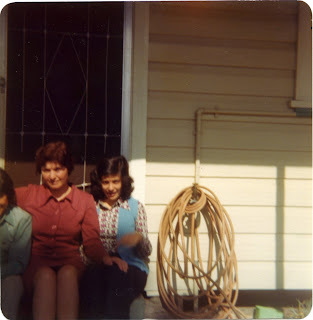 I grew up as a first generation Greek-Australian in a working class city on the eastern seaboard of Australia. Nearly all of my classmates were the children of migrants who came from different parts of Europe to work in the city’s steelworks and related industries. My own family’s situation typified a path followed by numerous other Greek families: my father used the wages he earned from working multiple low-paid jobs to purchase a small fast-food business. Over the years, he successfully established and sold a number of these businesses. But while I was growing up, the shop he held for the longest time was located on the esplanade of the city’s main beach. On weekends and throughout the school holidays, my sisters and I were required to work in the shop serving customers, many of which we knew or recognized from school (above are pictures of me in the shop). It was only during the winter months, when business slowed down considerably, that we were able to escape the tedium of working alongside our parents. For my father, there was no escape. In order to compensate for the winter slowdown, he combined work in the shop during the day with a job cleaning trains at night, catching a few hours sleep in the changeover between the two. Permanently sleep-deprived and on-edge, he would be glimpsed, late in the evenings, getting ready to start the night shift that merged with a day spent serving customers at the shop. With all my father’s energies and attention consumed by the demands of two full-time jobs, the task of parenting was left entirely to my mother (pictured below with my sister, right, and myself). She was the one who set the limits on our behavior and did her best to ensure that nothing we did reflected negatively on the family. She did this at the same time as she worked alongside my father in the shop. Apart from the occasional wedding or Greek community function, my parents never went out or had what, nowadays, we call a social life. Their lives were totally consumed by the tasks of working and bringing up children. If this put a strain on their marriage, it did not manifest itself publicly or lead to complaints about their life in Australia. Given the lack of other work options, there was simply no point. The pressure that affected my parent’s marriage came from something else that emerged as a consequence of their migration, something that affected my mother rather than my father. For nearly all of her adult life, my mother has experienced an abiding sense of what we might call homesickness. My uneasiness in using this term stems from the way my mother’s pragmatic approach rules out displays of self-pity or wallowing in regret. Yet, at the same time, she has never wavered from the sense that her home is elsewhere. She lives her life grounded in the day-to-day realities of the world in which she moves, yet also maintains an unbreakable connection to a world from which she is physically absent. Watching my mother reading the tightly composed blue aerogramme letters that arrived every fortnight from my grandmother was one of a number of reminders that, even though this is where she lived, home, for her, was somewhere else. So how does all this connect with my experience of cinema? I was four years old when my family arrived in Australia. All through my childhood and adolescence, my recollections of the people and places that she spoke about were tenuous: the exterior of a house with large green double-doors, a field with small trees, a shiny concrete floor laced with a myriad of fine cracks. Even with the assistance of the photo albums that my mother brought with her to Australia, these impressions were not enough to bridge the growing divide between my mother’s attachments and my own experiences. The cinema allowed me to draw closer—not to the actual world that my mother left behind in Cyprus but rather to the homesickness generated as a result of her departure. Primed by my mother’s example, the movies helped me to understand what it meant to belong to a world whose fundamental condition was my own absence. For me, the natural home for this feeling has always been the American cinema. The differences between the worlds represented in these films and my own domestic world offered just the right mixture of familiarity and difference necessary to plot the type of disorientation that I needed to make sense of my mother’s homesickness. The other reason why I was so drawn to American cinema concerns the way it seemed to be populated with people and characters from somewhere else, people on the move, or newly settled. I’m thinking, of course, of The Misfits and its collection of displaced characters: Gay (played by Clark Gable), Roslyn (Marilyn Monroe), Perce (Montgomery Clift) and the hapless Guido (Eli Wallach), the character most clearly connected with the immigrant experience and the one that, at the end of the film, has the least to show for his troubles. The dramatic settings of The Misfits are a million miles from the suburban neighborhoods in which I grew up, but something about the restlessness of the characters in this film connects with the circumstances of people whose experience of home is inescapably ambivalent. Famous Faces Yet Not Themselves traces how this ambivalence connects with changes in theories of acting, twentieth-century photography and postwar cinema. The photographs that structure the book’s argument are points where these changes leave their mark on the expressions of the actors. But I also use the photographs as a way to spotlight cinema’s capacity to project our attention elsewhere, to enable us to inhabit different worlds. No matter how many times I go back to these images, no matter how much the activity of analysis requires that I place a check on my own investments, they remain a way of conversing with a cinema that I carry round in my head. I must apologize for wandering so far off-topic. I hope, however, that these reflections provide some sense of my attachment to The Misfits as well as the pathways opened by the images from this remarkable film. Find more information about Famous Faces Yet Not Themselves here.